Did someone say Cheese Cave? Why not invite all your friends to dinner? Looking for space to entertain? We found it. 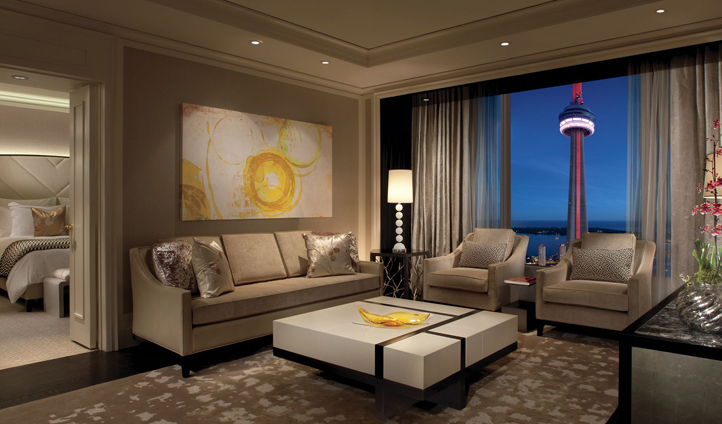 This Ritz-Carlton hotel is a real jewel in the crown of Toronto hospitality. Its glass façade and pristine furnishings offer a truly cosmopolitan experience to its guests whilst being a place of calm amidst a vibrant buzzing city. The hotel is Downtown and so just a short distance from the city’s Entertainment District, ensuring you’ve got plenty to explore right on your doorstep. The famous sporting venue, The Air Canada Centre, is not far either, whilst the airport is an easy drive away. The suites bask in a soothing golden glow, and the marble clad bathrooms are a real evening haven. Stunning views of the city can be seen throughout the hotel and it’s hard not to be in awe of the colossal CN Tower that is adjacent. 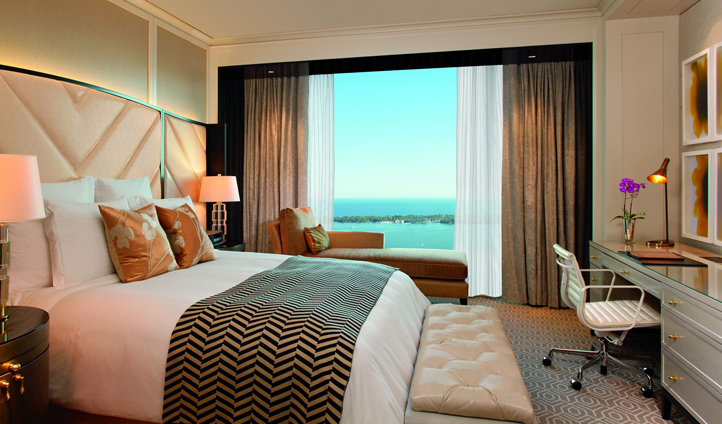 A central location, astounding views and luxury rooms – The Ritz-Carlton might just be the one to beat. We loved the understated elegance and fabulous service at the Ritz Carlton, but it was one thing in particular we returned to time and time again – the Cheese Cave in Toca, one of the hotel’s exquisite restaurants. The Cheese Cave is host to one of the world’s best cheese collections and is simply unmissable. With a glass of wine in hand, a night of pure Indulgence awaits.